It’s been more than 10 years since the release of Devil May Cry 4, with the series seeing a reboot in 2013, but developer Capcom has gone back to the last numerical entry and finally delivered a fully-fledged sequel, picking up the story of the iconic demon-hunter Dante and his new ally Nero as they face a new threat; but has the wait been worth it? Want to buy your copy of Devil May Cry 5 now? 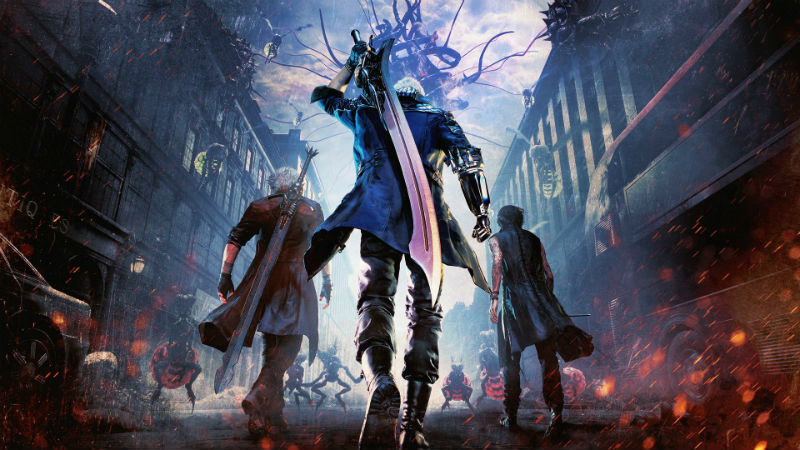 The game picks up a few years after the events of Devil May Cry 4, and throws players right into the middle of a battle between Dante, Nero, a mysterious new ally named ‘V’, and a demon-king known as Urizen. Things aren’t going so well in the fight, which sparks some flashbacks, letting players take control of the three leading characters through present and past events from a few days prior to the big opening battle. The narrative structure is admittedly bizarre, but it does work, managing to keep some mystery around certain characters and big-reveals hidden until the right moments in the story. With being able to play as three characters this time around, DMC 5 allows you to experiment with three (very) different play-styles. 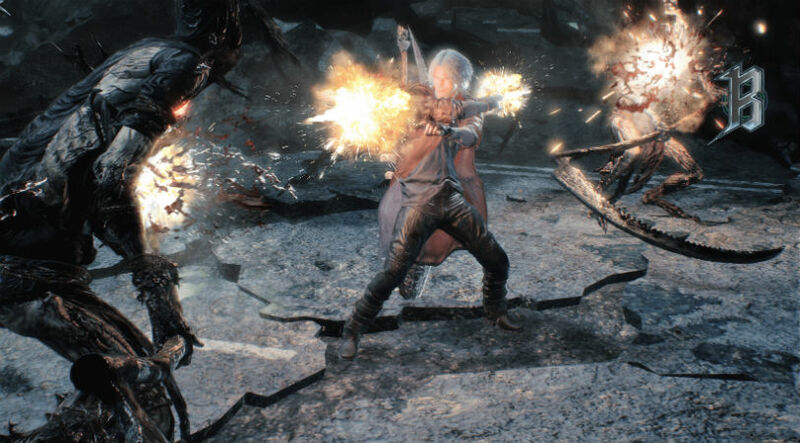 Dante is his usual fast and acrobatic self, Nero is a combination of speed and power, and ‘V’ doesn’t even engage in battle himself, rather utilising his dark powers to summon creatures to fight for you. Yeah, it sounds weird, and it is, but it makes sense in the context of his character and unleashing the right attacks on the right enemies, while you have to protect V by placing an emphasis on dodging and evasion tactics mixes up the pacing well. Of course, there are upgrades and tricks available to each character – one of the standout additions is the Devil Breaker arm enhancements that Nero can don. These are limited special attacks, which can range from a powerful beam to riding on the arm in the form of a rocket-propelled projectile – it’s as bonkers as it sounds. After each mission, you can stock up on different Devil Breaker add-ons (picking a few from numerous options), while also buying new moves, combos, and abilities for each of the characters. The stock combos and moves from the outset are great as is, so you really get a sense of variety with your ever-increasing combat repertoire as you progress through the game. Running on the RE Engine which we saw a great showcase of with Resident Evil 2 remake and Resident Evil 7), the game looks incredibly fluid, facial animations are superb, and lighting and particle effects add a eye-pleasing firework display of sparks, electricity, and flames as you fight your way through demon hordes. 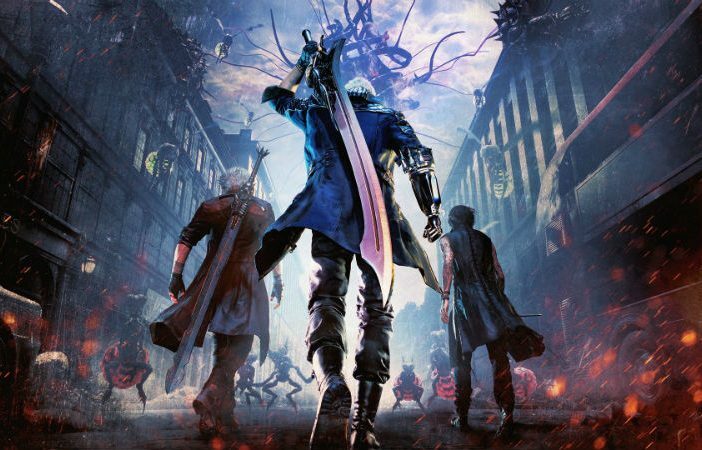 Story-wise, the cheese of past games has been replaced with an overdose of style and attitude, but it comes off as effective and intentional, as Devil May Cry 5 embraces its tongue-in-cheek yet badass-to-death milieu perfectly. 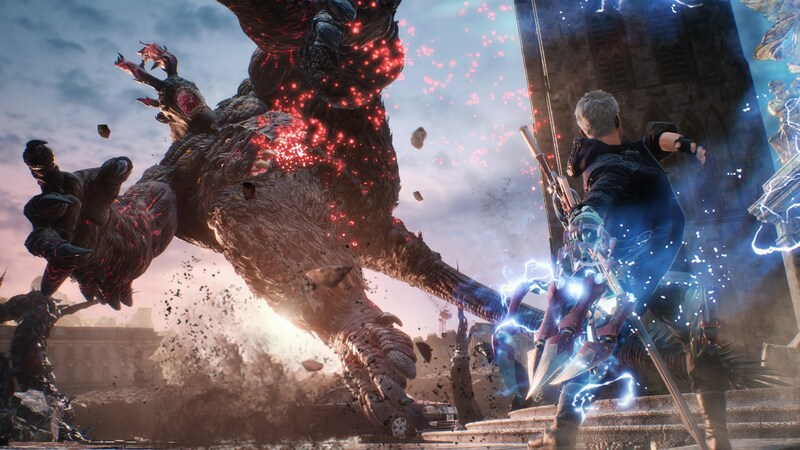 While ‘style over substance’ is often a route many games take, Devil May Cry 5 manages to deliver both in heaps, bringing one of the smoothest and reactive combat systems around, along with stunning visuals and a surprisingly interesting story that’ll catch fans and newcomers off-guard. Devil May Cry is back in business. Devil May Cry 5 is available on Xbox One, PS4, and PC.